Following a brilliant career performing on the world’s greatest ballet stages, Ib Andersen was named Artistic Director of Ballet Arizona and The School of Ballet Arizona in 2000. Born in Copenhagen, he was introduced to ballroom dance at a young age. Then, at age 7 he was accepted into the School of the Royal Danish Ballet. He joined the Royal Danish Ballet at age 16 and became a principal dancer at age 20 — the youngest principal in the company’s history. Mr. Andersen’s career and reputation flourished in Europe, bringing him to the attention of the director of New York City Ballet (NYCB), George Balanchine. Andersen joined NYCB in 1980and during his first three months he learned 35 ballets and demonstrated a remarkable affinity for the Balanchine style and technique. This led Balanchine to create principal roles for him in Ballade, Davidsbündlertänze, and Mozartiana. Jerome Robbins and Peter Martins also created roles for Andersen’s unique style. In 1987, while Andersen was still with NYCB, the Royal Danish Ballet gave him his first choreographic commission, for which he created 1-2-3—1-2. When he retired as a principal from NYCB in 1990, Andersen began a second career as a guest ballet master for companies around the world. He staged ballets by August Bournonville, Michel Fokine, Jerome Robbins, and others; most notably, George Balanchine. Mr. Andersen’s affinity for Balanchine’s works led to his appointment as a Balanchine Repetiteur; one of a handful of artists worldwide authorized by The George Balanchine Trust to stage the master’s pieces. Mr. Andersen’s career has been consistently marked by success, and his rise to Artistic Director is no exception. 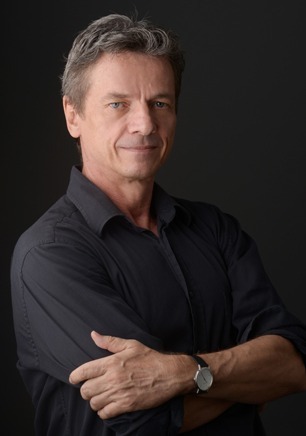 After tenure as Ballet Master with Pittsburgh Ballet Theatre, Andersen accepted the position of Artistic Director for Ballet Arizona. He now directs the Company in a demanding repertory that combines both classical and contemporary ballets; including works he creates specifically for the dancers. In 2010 Ballet Arizona enjoyed the national spotlight when it presented Andersen’s Diversions at the Ballet Across America festival hosted at the prestigious Kennedy Center in Washington, D.C.
During the 2011-2012 Season Ib Andersen’s world premiere of Cinderella met with resounding success; garnering rave reviews and record-setting attendance. In February 2012 Ballet Arizona made its New York City debut at the Joyce Theatre performing Andersen’s Play. The New York engagement was lauded by The New York Times, Financial Times and The New York Post which all praised Andersen’s choreography and the work he has done with Ballet Arizona. In the 2013-2014 season, Ib and the company transitioned into a brand new facility, “The Center for Dance” which included the Dorrance Theatre, a black box theatre seating 299. In 2015, Andersen presented August Bournonville’s 1842 classic, Napoli, a United States premiere, which featured authentic sets and costumes imported from Copenhagen. It was undoubtedly Andersen’s eye for detail and exacting coaching which led Alastair Macaulay, lead dance critic for the New York times, to proclaim “This company has become one of America’s finest…”.